The period covered initially by Arts:Search is 1921. Available soon. Contains prose, poetry and artwork by past and present students and staff and GSA. 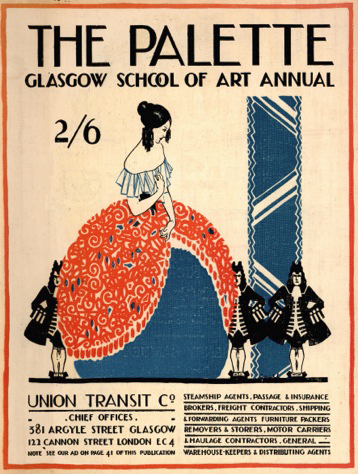 This issue also includes an article on poster design by E. McKnight Kauffer. The cover was designed by Norman Gorell.